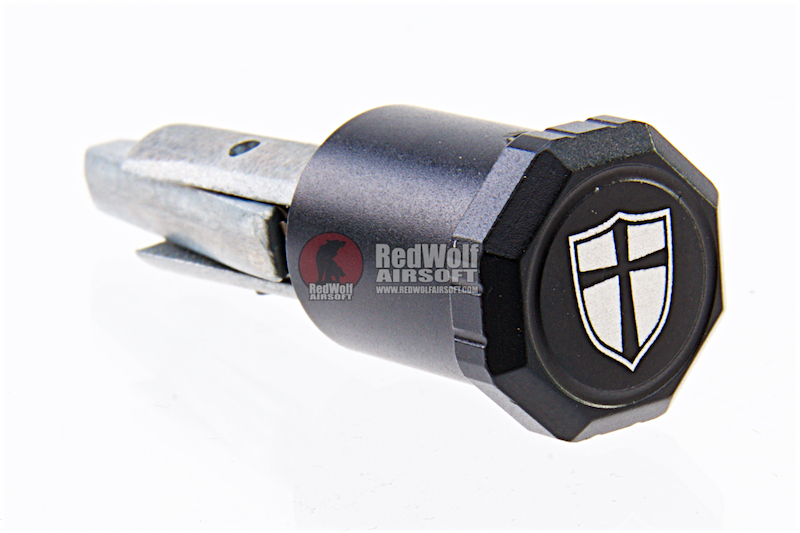 An upgrade Crusader Forward Assist Button of the VFC M4 / HK416 gas blowback Rifles. For those that do not know, sometimes the bolt of your weapon returns forward but not the whole way. 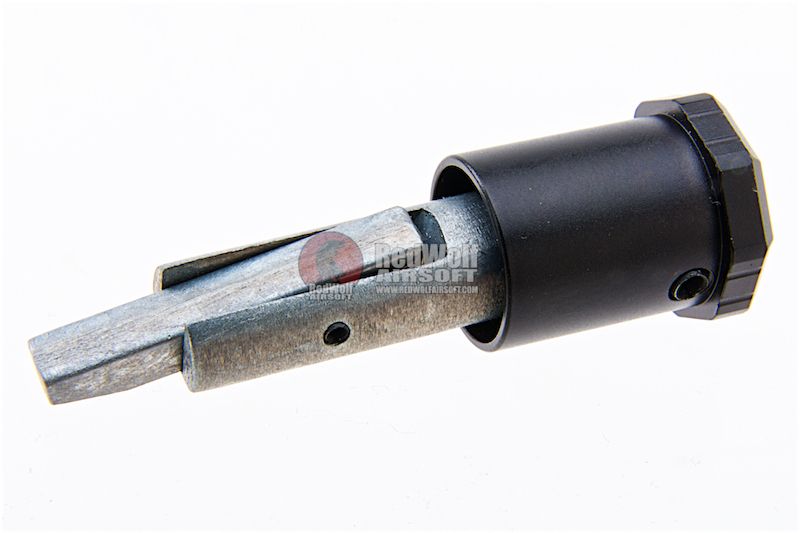 In the case of a real firearm this can cause a catastrophic blow out or at least minor damage but in Airsoft it will at least form a poor seal and fail to fire your BB properly. 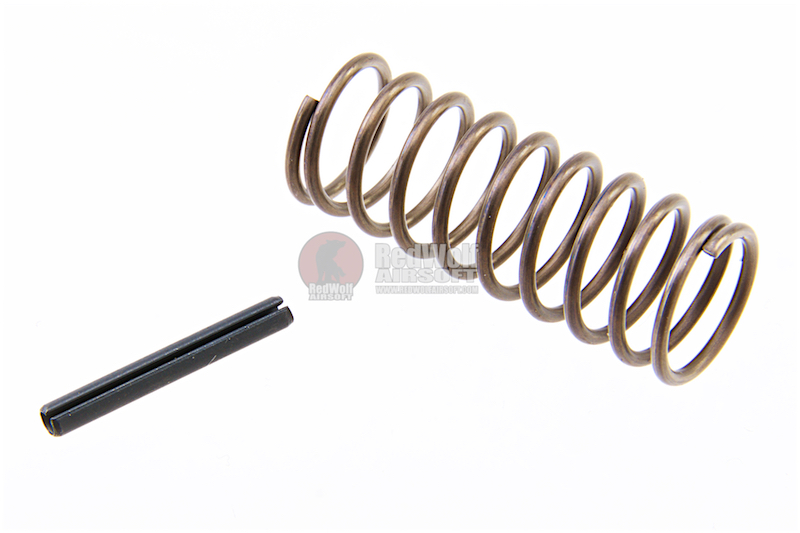 If the bolt goes forward, it slides a BB into the chamber but if it fails to go into a fully forward position simply racking the charging handle again will not clear the previous BB (unlike a real firearm that will eject the current round in the chamber). Instead, you can push the bolt the rest of the way using the forward assist. 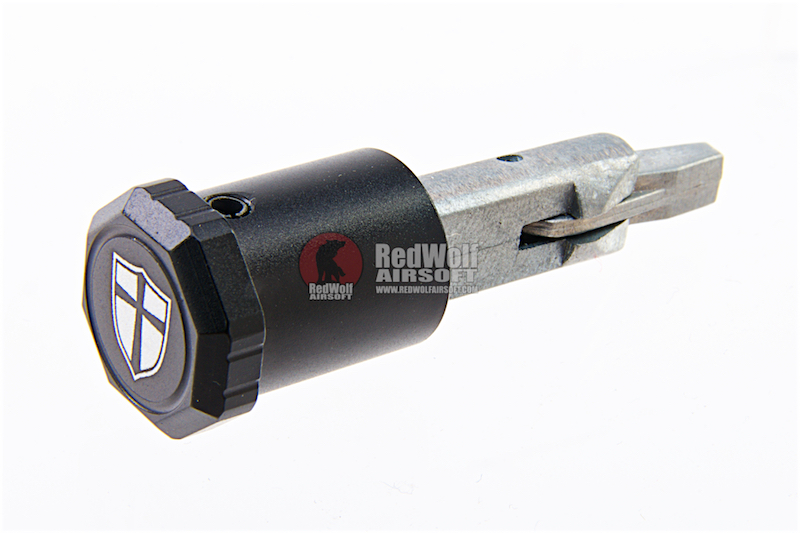 Forward assists are not commonly used anymore, either in real steel or Airsoft GBBs but it is still a common feature on GBBR M4s and so you might as well make sure yours is functioning properly and look amazing at the same time!